America's largest city and one of the world's true great bastions of culture, style, and commerce, New York City also ranks among the great gay destinations on the planet. Historians have chronicled a vibrant, discernible gay scene here - largely in the borough of Manhattan - as far back as the 1890s, and Manhattan remains the epicenter of NYC gay life. There's a growing gay community in the Outer Boroughs, however, with Brooklyn and its Park Slope and Cobble Hill neighborhoods leading the way. Most visitors, however, focus their efforts on Manhattan and its world-class shopping, theater, dining, and nightlife. New York City's popularity is year-round, although summer tends to draw the greatest numbers of tourists from afar (particularly Europe), despite the often sultry, humid weather. Fall and springs are beautiful times to visit, with plenty of cool and crisp sunny or partly cloudy days. Winter can be windy and chilly, with occasional snow storms, but it's also a time when bars and restaurants can feel quite cozy, especially during the December holiday season. Average high-low temps are 39F/26F in Jan., 60F/45F in Apr., 86F/70F in July, and 65F/50F in Oct. Precipitation averages 3 to 4 inches/mo. year-round. New York City comprises five bouroughs. Manhattan is a narrow island straddled by the Hudson and East rivers. To the north, across the Harlem River, the Bronx is part of the mainland and abuts Westchester County, New York. To the east, Queens and Brooklyn are on the western tip of Long Island, across the East River from Manhattan. To the south, across New York Bay, Staten Island hugs the New Jersey shoreline and is connected to Brooklyn by the Verrazano-Narrows Bridge. The city covers some 320 square miles among these five boroughs. Manhattan has the bulk of NYC's gay scene, followed by Brooklyn. New York City is served by three major airports. JFK in Queens and Newark Airport across the Hudson River in New Jersey handle hundreds of domestic and international flights, while La Guardia handles more domestic traffic. All things being equal, it's often easier and more convenient to fly into La Guardia, which is closest to Manhattan, but all three have loads of ground tranportation options - cabs, shuttles buses, city buses, etc. Just keep in mind that it can take 30 to 90 minutes and cost $25 to $60 by cab to reach these airports from various points in New York City. New York City is an easy place to reach and get around in without a car - in fact, having a car here is a liability, considering the traffic and astronomical parking costs. The city is easily reached via Amtrak train service and Greyhound Bus from such major East Coast cities as Boston, Philadelphia, Baltimore, and Washington, D.C. Taking the train into New York can actually be as expensive as flying, but it is a flexible and comfortable way to arrive right into Manhattan. Arriving by bus is most affordable but somewhat time-consuming. Within the city, New York is served by a fantastic mass transit system. Early Jan.: New Year's Eve Celebration. Mid-Mar. : St. Patrick's Day (controversial, and heavily protested, as GLBT community is officially banned from taking part). Late Apr. : Tribeca Film Festival. Late May: New York City AIDS Walk. Early June: Brooklyn Gay Pride. Early June: Queens Gay Pride. Late June: Harlem Gay Pride. Late June: New York City Gay Pride. Mid-July: Staten Island Gay Pride. Late July: New York Musical Theatre Festival. Late July: Bronx Gay Pride Festival. Late July: NewFest LGBT Film Festival. Mid-Aug.: New York International Fringe Festival. Early Sept.: New York Fashion Week. Late Oct.: Greenwich Village Halloween Parade (a hugely gay and campy event). Late Nov.: Macy's Thanksgiving Day Parade. Dec.: Christmas and Holiday Events. A number of resources offer extensive information on the city's gay scene, including Next Magazine (with extensive nightlife and entertainment listings), and TimeOut New York's gay listings. Also check out the popular alternative newsweeklies, such as the Village Voice and New York Press, and of course the mother of all U.S. newspapers, The New York Times. Be absolutely certain to check out the superb GLBT website of NYC & Company, the city's official office of tourism. Also visit the excellent site of NYC's outstanding LGBT Community Center. The NYC neighborhoods that resonate most strongly with gay visitors lie largely in Manhattan. But you'll find some truly fascinating places in the Outer Boroughs, with Brooklyn leading the charge. New York City's most populous borough (with more than 2.5 million residents), Brooklyn was established as a separate city, and it remains very much its own entity. Several sections have become popular with gays, especially Park Slope, one of the nation's most recognizable lesbian enclave. If you only have a few hours to see Brooklyn, concentrate on Brooklyn Heights, which is named for its hilltop location from which many residents enjoy unparalleled views of Manhattan. In the 1940s and '50s a number of writers and artists moved into the neighborhood's attractive brownstones - Carson McCullers, W.H. Auden, Arthur Miller, Norman Mailer, and Truman Capote among them. 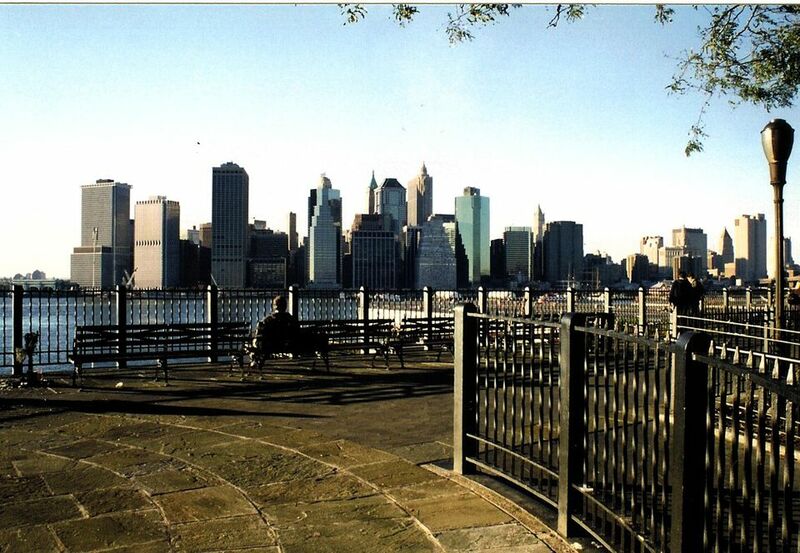 Be sure to check out the Brooklyn Heights Promenade, a 2,000-foot-long esplanade with breathtaking vistas of the downtown Manhattan skyline and Brooklyn Bridge. Essentially extensions of Brooklyn Heights, Cobble Hill and Carroll Gardens are similarly handsome residential neighborhoods chock-full of 19th-century town houses. Cobble Hill's main commercial spine, Smith Street, has blossomed into a row of hip bars and restaurants in recent years. Carroll Gardens, long a popular Italian-American enclave, is bisected by Court Street, with dozens of wonderful Italian butchers, bakeries, and pizzerias. Park Slope (a.k.a. "dyke slope") has been popular with lesbians - and to a growing degree gay men - for many years; it has gay bars, coffeehouses, and many gay businesses. Here you can check out the Lesbian Herstory Archives (by appt. only), an exhaustive collection of documents tracing lesbian history. Park Slope teems with magnificent bow-front brownstone mansions and quiet, tree-lined streets. Most attractions, apart from the good shopping and dining along 5th and 7th avenues, are centered around 526-acre Prospect Park. After Brooklyn, Queens has the outer boroughs' most visible lesbian and gay population. It's home to more gay bars than any borough but Manhattan and also has a large queer African-American and Latino population. Most of the gay scene is centered around Jackson Heights, but you'll also find some noteworthy restaurants and businesses in increasingly trendy Astoria and Long Island City.